Plus China may own the world’s top supercomputer. Friday China links. Nicaragua has granted a Chinese company a 100-year concession to build an alternative to the Panama Canal. 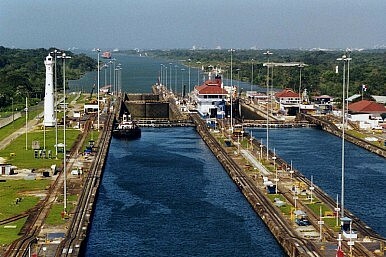 At a cost of US$40 billion, the new canal will have a higher capacity than the Panama Canal, allowing ships to transverse it that are twice as large as the biggest ones the Panama Canal will be able to handle after a current expansion is finished. When the ranking of the world’s top supercomputers is released later this month, China is likely to top the list owing to a new machine unveiled last week at China's National University of Defense Technology, the Wall Street Journal reports. China briefly held that distinction in 2010, but the new machine, the Tianhe-2, or Milkyway-2, is likely to hold the top ranking until at least 2015 the report says. On Friday millions of high school seniors in China will sit for the dreaded gaokao, the nationwide college entrance exam. Unlike the SATs in America, entrance to college in China is based almost entirely on gaokao scores, Bloomberg Businessweek reports in an interesting piece on the tests. Interestingly, the tests are seen as one the factors causing the spike in Chinese students going abroad for college. As China Daily reports, “In Beijing, 72,736 students signed up for the gaokao in 2013. However, the figure was 126,000 in 2006.” The same source outlines the grim jobs market recent college graduates face. Fareed Zakari opines at the Washington Post that China is the not the world’s other superpower. Zakari writes, “China is the world’s second-largest economy and, because of its size, will one day become the largest…. But power is defined along many dimensions, and by most political, military, strategic and cultural measures, China is a great but not global power.” For a similar argument, which Zakari cites himself in the article, see George Washington University Professor David Shambaugh’s most recent book. At the same time, as fears of an EU-China trade war grow, the People’s Daily insists that the EU must accept it is a declining power. “The change of the times and the shifts of power have failed to change the condescending attitude of some Europeans,” the paper said the Financial Times reported. Interestingly, the editorial doesn’t appear to be in the English-language edition of the newspaper. In “The Wonk With the Ear of Chinese President Xi Jinping,” the Wall Street Journal’s Jeremy Page provides a probing profile of Wang Huning, head of the Communist Party's secretive Central Policy Research Office. Wang, a Politburo member and top adviser and speechwriter to Jiang Zemin, Hu Jintao, and now Xi Jinping, is described by one of Page’s sources as "Karl Rove and Henry Kissinger rolled into one,” owing to his strong influence on both China’s domestic and foreign policy. Reuters reports that Chinese new leaders are content to allow growth to slip below 7 percent before instituting a stimulus package, which Premier Li Keqiang has been a particularly strong opponent of. What did we miss? Want to share an important article with other readers? Please submit your links in the comment box below! Plus, a second Chinese citizen electrocuted by an iPhone charger. Friday China links.